Two new automotive brands are poised to enter the country in the next few months: MG and Maxus. Both hailing from China, one will be brought in by The Covenant Car Company, Inc., while the other by Ayala Corporation. 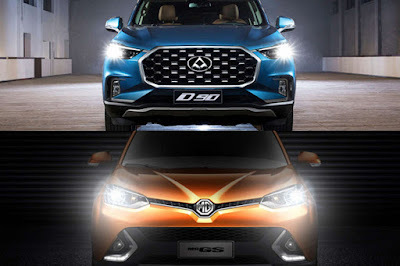 In an odd twist of fate, both of these brands are subsidiaries of China state-owned automaker SAIC or Shanghai Automotive Industry Corporation. MG will be the first to enter the market with a brand launch on October 11, 2018. Previously distributed by Morris Garages Philippines, MG, since October 1, is now distributed by The Covenant Car Company, Inc., the current Chevrolet distributor. The move is quite a surprise given that at one point, AC Industrial Technology Holdings, Inc., a subsidiary of the Ayala Group was once in the prime position to take on the MG distributorship. According to sources within TCCCI, they’re looking at tapping the existing Chevrolet dealer network to quickly expand MG’s presence nationwide. Though the senior management will be shared between both brands, an independent operational team will be in place to handle MG. In terms of products, TCCCI will likely continue some of the previous offerings from previous distributor Morris Garages Philippines such as the GS and MG3 but at “substantially cheaper prices.” According to sources, the SRP could go down as much as P 100,000 depending on the model and variant. While AC Industrial Technology Holdings, Inc. did not get the MG brand, it did manage to get the Philippine distributorship of Maxus, a maker of light commercial vehicles. Ayala has yet to give a timeframe for Maxus’s arrival into the country, but expect it to happen in less than 6 months’ time. The introduction of Maxus will be Ayala’s fifth automotive brand after Honda, Isuzu, KTM, and Volkswagen. This is the same MG brand who say that only below 40 yrs old can buy their vehicles, edi wag! sana malugi kayo feeeling entitled never heard naman brand nyo. It was a bad marketing tag line, but some people decided to make a story out of it and blow it out of proportion. I think we should give this brand a chance. As stated above, I understand that this was a bad marketing campaign and tag line by the former MG Philippines distributor. The new distributor, TCCCI has a very good reputation for integrity and industry knowledge. I've seen the new MG products, and I'm personally looking forward to seeing how TCCCI can grow the MG brand in the country. If i am at ayala, id badge thise maxus as LDV like in other markets.